The 2019 Term 1 sports programme is available here. (There have been some changes/ additions so please do take a look). The fixtures for all Indoor Hockey matches, Swimming galas, Tennis matches and Water Polo matches are also available on the Sports page. A reminder to please send through any sports news or achievements to the sports office so that we can acknowledge our sports girls. South African Olympian, Dominique Scott, presented two running clinics during the past week. The first clinic was held at Rustenburg and 32 invited girls from Rustenburg, Wynberg and St Cyprians took part. 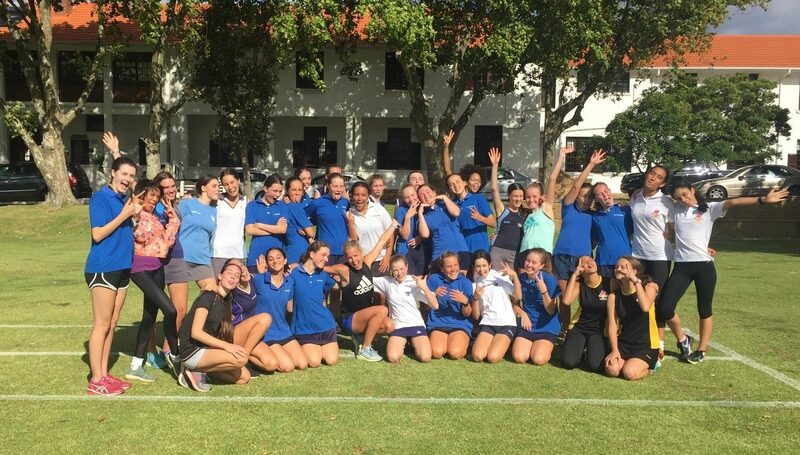 The second session took place at Rondebosch Boys’ High school and here 36 runners from Rondebosch, Bishops, Rhenish, Herschel, Rustenburg and UCT took part. During both sessions she shared her story and running tips, and also put the girls and boys through a fairly intense workout. Her message is that ‘hard work’ is what will make the difference. She also encouraged the runners to try new things and to step outside their comfort zones. Sharing Dominique with the runners from surrounding schools was a way of thanking Rondebosch Boys for offering their facility at no cost to our Rustenburg Girls. To have the use of a 400m grass track a few kilometres away has opened up a whole new experience for many of our girls. Dominique, pictured in the centre, is now a professional athlete running for Adidas International, living and running in the USA. Jordan Campbell represented South Africa during the recent holidays. She played in the Redtone 12th KL Junior Open Squash Championship held at the NSC Squash Centre, Kuala Lumpur (4 – 9 December 2018) and ended 29 out of a field of 67. The second tournament was the Oncocare Singapore Junior Squash Open at Kallang Squash Centre, Singapore (11 – 15 December 2018) where she ended 13 out of a field on 32. Congratulations on these wonderful results. Jordan (second from right) with the rest of the South African Squash Team. 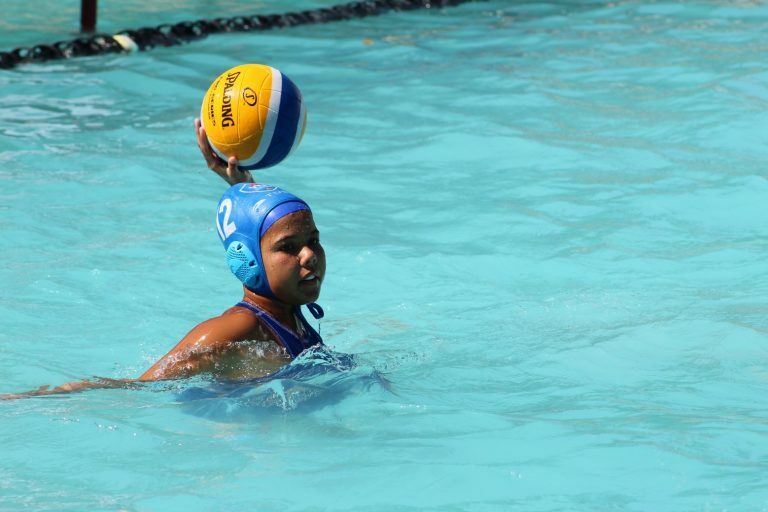 Daniella Solkow (Grade 12) competed in the Western Cape Summer Champs in December last year. 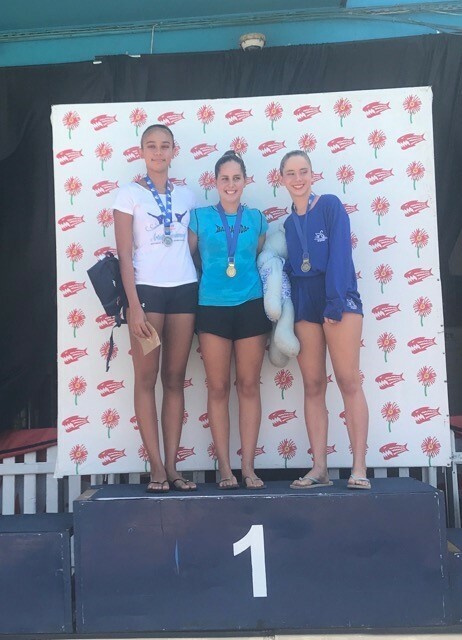 Erin Daffarn (Grade 9) competed in the WP Summer Championships from 5-9 December at the Coetzenberg pool in Stellenbosch. She bettered her times in all 12 events that she swam. Her best result came in the U15 50m breaststroke where, as a 14 year old she made it into the final. Congratulations on an excellent gala. 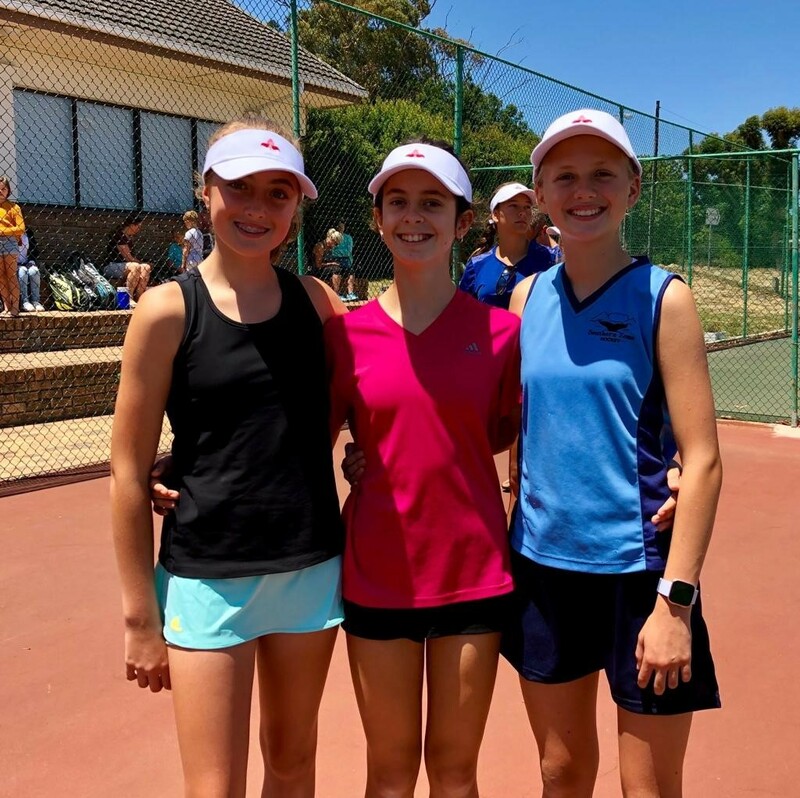 Three Rustenburg girls have been selected to represent Western Province in the U15 age category. We are immensely proud of Juliana Barrish (Grade 9); Sienna Syndercombe and Lisa Penney (Grade 8s). Many RGHS players were included in provincial teams in December 2018. 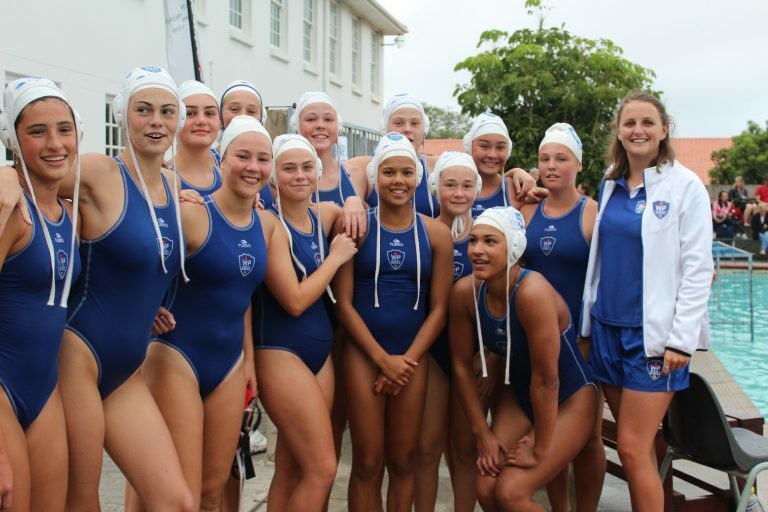 They competed for various Western Province age-group teams in the SA School Water Polo tournament held in the Eastern Cape. Isabella Wright-Avis (Grade 8) represented Western Province in the WP Girls U16A side that competed in the 2019 South African Junior Chess championships during the recent holidays where the WP U16 girls came second in their category. In the individual competition she qualified to compete in the closed tournament. These are exciting times for Isabella as she will receive an invite from SA Chess to compete for a place in the girls U16 SA team. We congratulate Isabella on these excellent results and wish her luck for all her upcoming challenges. 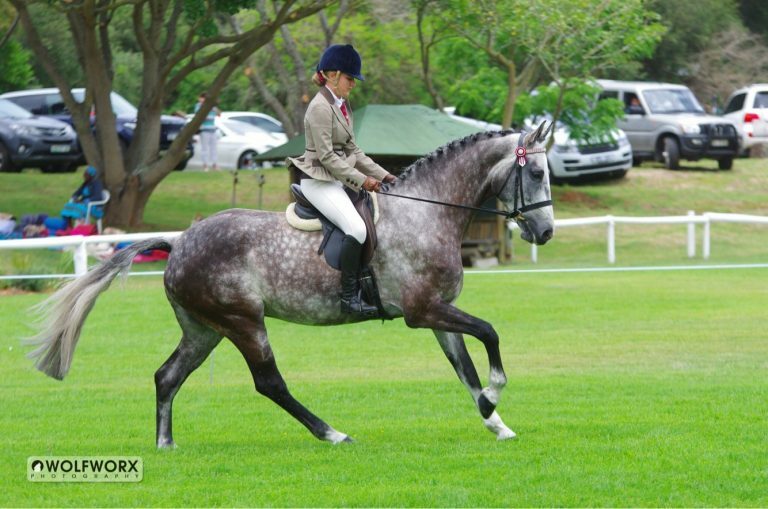 Arwen Dumbrill (Grade 9) and her horse Fausto competed for the Western Cape (WC) Showing team in Port Elizabeth at the Youth Championships, from 7 to 11 December 2018. WC won the Silver Medal for Showing. In addition, Arwen and Fausto won three events: Junior Novice Show Riding; Junior Novice Show Hunter and Junior Novice Showing Champion of RSA 2018. 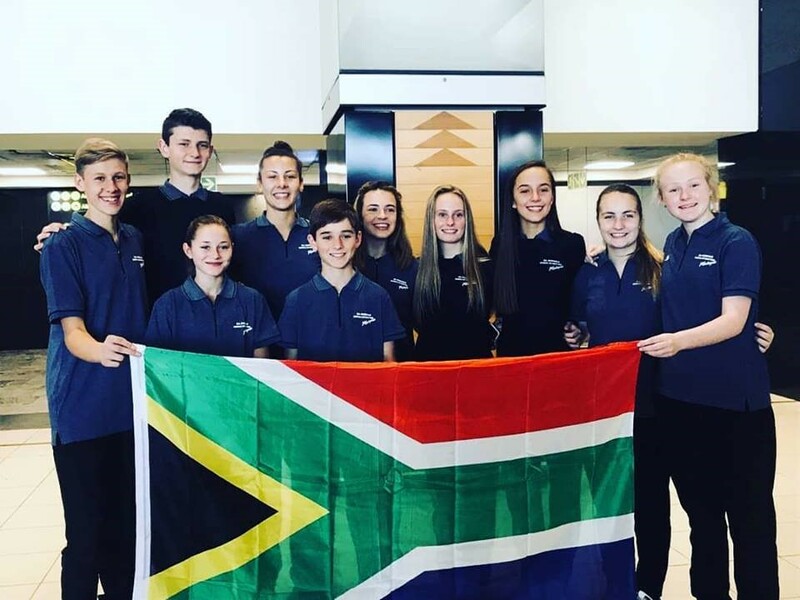 Kaitlyn Doms (Gr 9) participated in the Synchronised (Artistic) Swimming National Age Group competition in Pretoria. She won six of the total 12 gold medals for her club, which was a gold medal for each event in which she participated. Her coach, Sue Mannerswood, had this to say: “Kaitlyn is a superstar – she swam in my senior teams with the SA national duet swimmers and other very experienced girls. She has a very bright future and is truly a pleasure to coach. She is eligible for both Senior and Youth World Championships but has opted to focus on the Youth Championships”.